The Tavern looks back at 16 moments that defined the year that was 2016 in Korean football. As per usual, it brought joy, tears, and everything in between. But it was also a season of the unusual – be that positive or negative – as we re-visit the rollercoaster of the Olympic Games and as we saw one of Korea’s best take a puzzling move to China. The first order of the business in 2016 was the AFC U23 Championship. Serving as the qualification tournament for the all-important 2016 Rio Olympics, everything was on the line for Korea’s young footballers hoping to repeat the glorious 2012 London run and earn military exemption. After topping their group in ship-shape, and pouncing on one of Jordan’s defensive hiccups in the Quarters, Korea’s boys had two stabs at securing their Brazil ticket. Tournament hosts Qatar were the semi-final opponents, and they were renowned for their searing pace and dynamism. To counter this threat, manager Shin Taeyong deployed a 3-4-3 shape. It worked miracles, forcing the Qataris to play more directly. Ryu Seungwoo took the lead in the 48th minute but a defensive error by the Korean centrebacks allowed the Qataris to equalize. However, the Koreans’ stamina – and the influential substitution of the dynamic Hwang Heechan – saw the Koreans strike twice at the death through Kwon and Hwang… and the Koreans were going to Rio. But there was one piece of business left, and that was the final against Japan. This year’s greatest Haniljeon. It was the epitome of Jekyll and Hyde. We saw a dominant Korean passing performance, two offside goals (both questionable calls) before Kwon Changhoon opened the scoring with a sublime volley in the box. Sure, it took a deflection, but incredible acrobatics were needed to even get that on target. Then, in the 47th minute, Jin Sungwook finished an excellent Korean counter. Shin Taeyong’s men were in charge, running laps around Teguramori’s men. What happened next was the most spectacular defensive breakdown in ages. Takuma Asano scored twice and created another goal in 15 minutes, and Korean centrebacks Yeon Jeimin and Song Juhun (neither of whom made it to Rio) were outwitted by the now-Arsenal striker. A stinging 3-2 defeat – a cautionary tale for Shin Taeyong and the Korea U23s. Still, the job was done. Rio awaited. Korea’s senior team completed the easy phase of World Cup qualifying in March. Having already won their group because of Kuwait’s suspension, Stielike left Son Heungmin at Tottenham, but there was nonetheless one historical footnote on the line – a national team clean sheet record. Korea had gone 7 consecutive matches without conceding, 1 off from the national team record. Lee Jeonghyeob’s 93rd minute winner in Ansan saw the Koreans see off Lebanon, while Suk Hyunjun’s cannonball from distance in the 3rd minute was the only real positive from a game in stiflingly humid Bangkok. Nonetheless, you couldn’t be too unhappy with an undefeated streak stretching over 14 months and a clean sheet record to boot. Players like Suk Hyunjun and Ji Dongwon were finding form. The Korean media dubbed Stielike “Godlike”. 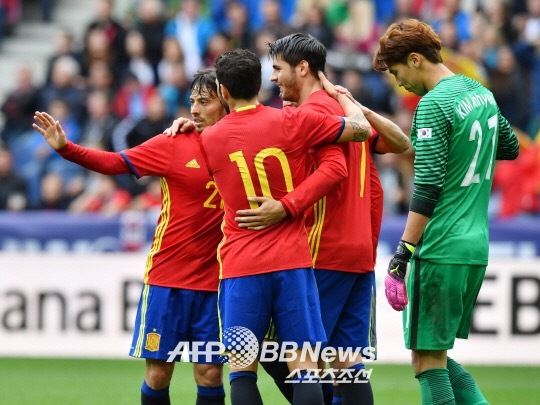 All were acutely aware that the big test lied ahead with summer friendlies against Spain and the Czechs, but none could deny that there was momentum. Life was good. Until it suddenly wasn’t. Few were expecting us to beat Spain, and expectations were tempered. A solid, hard-working performance where the Koreans kept up with the Spaniards and didn’t make a fool of themselves would have been considered a major success. And after 30 minutes, things seemed to be heading in that direction. Unfortunately, it was not sustainable. David Silva’s masterful freekick in the 30th opened the floodgates. Fabregas, Nolito, Morata, Nolito and Morata again. Joo Sejong’s consolation goal could not patch up the annihilated glass house of the KNT. GK Kim Jinhyeon in particular had a shocking game. Although the Koreans bounced back with a steady 2-1 win against the Czechs, this embarrassing loss revealed that the KNT was more or less at the same level as 2013-2014. 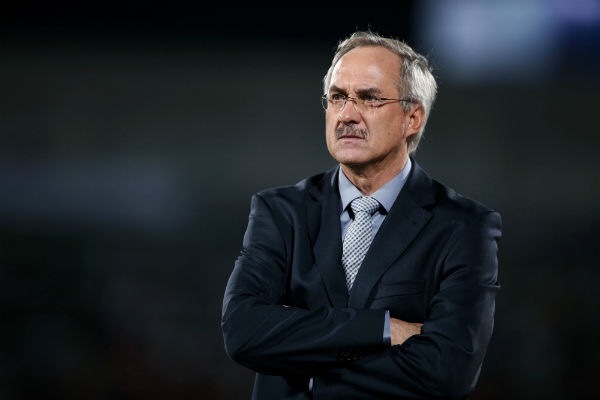 No progress under Stielike, really. Misleading headline. After two and a half successful but injury-laden seasons at Augsburg, Hong Jeongho decided to take the cash offered in the CSL. Although many (including myself) believe that he could have stayed around for a couple more years in Europe and continue to improve before making the CSL move, Hong obviously was tempted by the luxurious deal to Jiangsu Suning and took it. Now, I’m not blasting the CSL. If they have the money, then they have every right to go out and spend it (though this approach to building Chinese football seems top-down rather than bottom-up). The harder pill to swallow here was Hong’s lack of desire to pursue his career in the Bundesliga. A certain lack of ambition. Hopefully it will be the exception, not the rule, for the up and coming group of Korean players, not to mention that Hong’s subsequent dip in form for the KNT aptly reveal the downside of taking a cozy move to China. 5. It’s the Olympic dream! There’s was already something so exquisitely special about the Olympics. It’s a sporting spectacle like no other. But when the Korean soccer team’s initial malaise in the first half against Fiji went away, and the final scoreline read 8-0 (with a hat-trick for Ryu Seungwoo! ), there was a certain hope ingrained in all of us Korean football fans. Is this team the real deal? Can they repeat the 2012 boys’ legendary medal performance? Can wild cards Son Heungmin, Jang Hyunsoo and Suk Hyunjun sufficiently improve the squad? How better to measure those questions against the mighty Germany. A victory would send the Koreans through, but nobody expected that. A loss was the most probable result. And yet, Korea took the lead. Insane. Kwon Changhoon’s corner, Jung Seunghyeon’s header and a Hwang Heechan finish from a sharp angle. Naturally, that early lead evaporated. Gnabry and Selke revealed the flaws in Korea’s defense with concise finishes. Nobody foresaw the Korean comeback that followed. Son Heungmin’s crucial equalizer came from a nifty 1-2 with Hwang Heechan, allowing Son to dribble at that German U23 backline. Slotting it between the keeper’s legs, 2-2. Then in the 85th minute, Shin Taeyong’s gutsy move to bring on Suk Hyunjun and go for the win paid off, with the then-Porto man tapping home a cross from Lee Seulchan. Korea couldn’t hang on, however, with Serge Gnabry’s deflected freekick forcing Korea to share the spoils. That draw was gut-wrenching, given how close the team was to victory. But the team’s confidence and our confidence in this team soared after the result. Korea dominated for large swathes of the second half. It was no fortuitous draw – it was earned. The Olympic dream was well and alive. Korea look depleted, tired, worn out. It’s a poor quality game with only a few Mexican chances, but neither side really on top of their game. Germany are thrashing Fiji – if the result holds, Korea qualify by the skin of their teeth. And it seemed that that was how the team was going to have to do it against the reigning Olympic champions. Not a defensive masterclass by any means, just a matter of holding on and Mexico not making more of the occasion. Kwon Changhoon hadn’t been having the best of tournaments, overshadowed by Son, Hwang and Ryu. He was having a poor game as well (though others were far worse). All was forgiven with this screamer of the goal. The son of a baker, the Suwon Bluewings’ beloved youngster put his name in lights with that crucial game winner at the Olympic Games. An easier quarter-final date awaited the team – Honduras – and then two shots for a medal and military exemption. The impossible dream seemed suddenly very possible. 7. “Yo tengo una idea… claro — I have a clear idea.” Jorge Luis Pinto and Alberto Luis sink Korea. When asked in a Brazilian airport what he thought about Korea’s talent players, Jorge Luis Pinto didn’t mince words. “Corea? Yo tengo una idea… claro,” he said, “I have a clear idea about (beating) Korea.” Consistency was the name of the game for the Honduran side, comfortable in a back 5 with speedy wingers to counter. Honduras knew about Korea. Korea knew about Honduras. It was no tactical battle. It was all about execution. And Korea faltered. How many golden chances did Son and Korea get? Three? Four? Five? Chances where our hands were halfway up in the air, our hearts lifted out of our chests, our vocal chords ready to scream in ecstasy? I don’t know the number, but I know the result – we all do. They just wouldn’t go in. And the team paid the price. 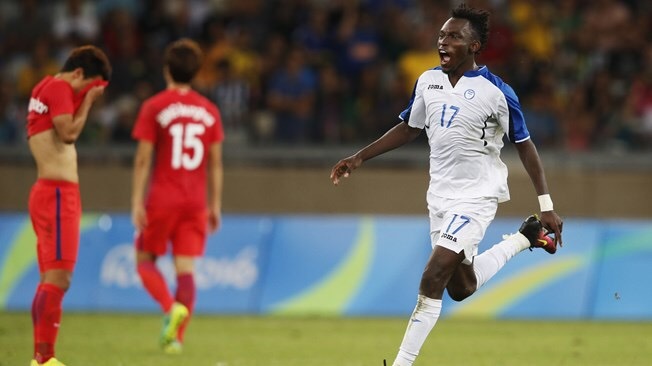 A devastating Honduran counter in the second half saw Alberto Elis sink Korea’s Olympic dream. No other opportunities presented themselves, and the last memory of these Olympic Games would not be a joyous medal ceremony but Son Heungmin’s inconsolable tears. Perhaps those tears put Son’s European career in perspective. Did he want to sit on the bench at Spurs until Sangju Sangmu came calling? Wolfsburg presented themselves as Son’s next potential home, and for a good week or so, it seemed probable that Son would give up on his English dream and return to the Bundesliga. But Mauricio Pochettino wouldn’t let that happen. He urged Son to stay at Spurs and fight on. And the rest is history. Two goals and an assist against Stoke, another brace at Middlesbrough, and dynamic, energetic performances day in and day out from a suddenly revived, brash and confident Son. Headlines such as “Why Son Heungmin is the best player in the EPL” were written, and he became the first ever Asian to win the EPL’s Player of the Month award for his September exploits. 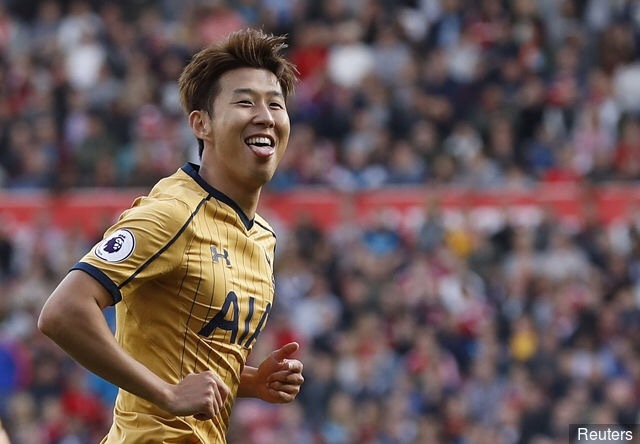 Although Son’s form has dipped a bit since Harry Kane’s return, Spurs’ top-four opponents will now be hoping more than ever that the Korean does not catch fire any time soon, for if he does, the sky is the limit. Stay tuned for Part Two tomorrow when Jinseok recalls the busy post-Olympic 2016. What a journey it’s been, thanks for everything you guys!